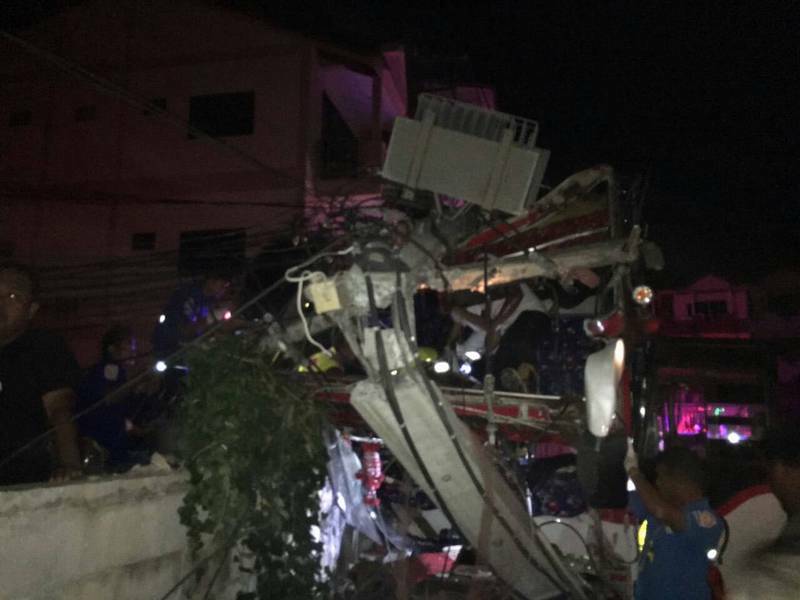 PHUKET: A runaway tour bus carrying Chinese tourists crashed at the bottom Patong Hill little before 9pm, plunging the area into darkness. The Phuket News saw at least four ambulances dispatched to the scene. Police have confirmed that at least 17 tourists* have been rushed to hospital for treatment of injuries, though no description of how serious the injuries were was given. 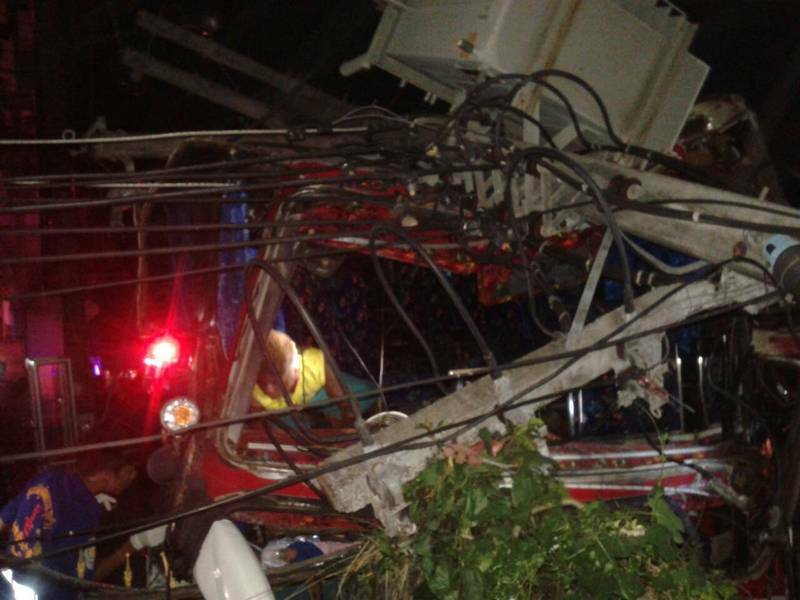 The bus stopped after slamming into a power pole in the sidestreet beside Patong temple. The concrete power pole was broken into two by the force of the impact. All the streetlights along the northern side of Phra Baramee Rd were in darkness all the way to the Caltex petrol station in Kathu. 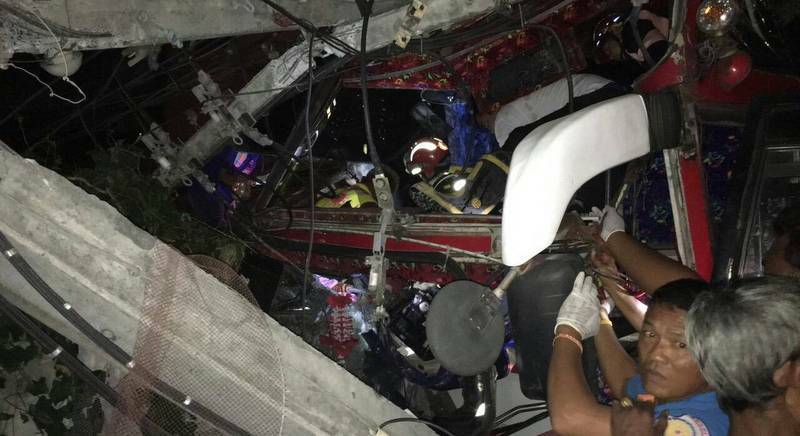 Bus driver 40-year-old Jeerasak Kimbuathong from Krabi** has been taken to hospital, rescue workers at the scene confirmed. He was later confirmed dead on arrival. 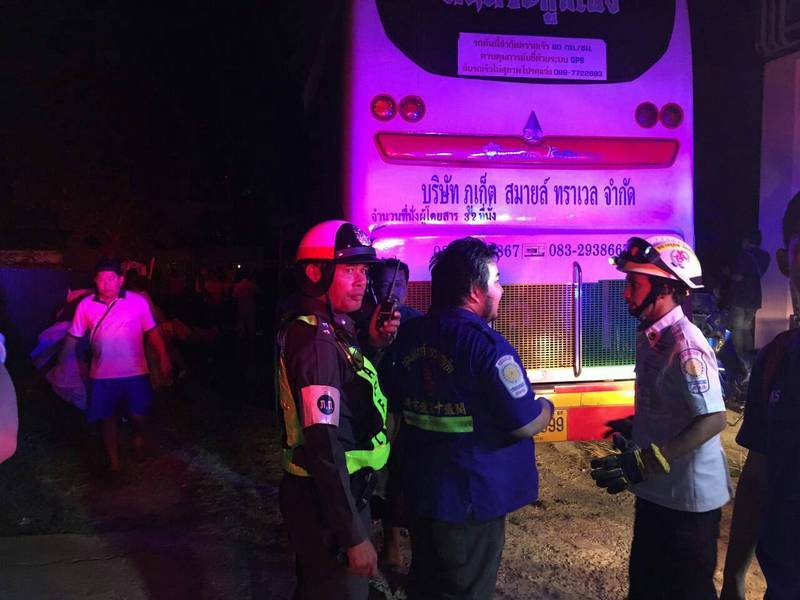 Police reported that the bus, operated by Phuket Smile Travel, was returning the tourists to their hotel in Patong when the accident happened. The tourists were returning from a tour of the Similan Islands and had boarded the bus in Phang Nga. ** CORRECTION: Not Somphon Plotchaikwang, 41, as given by the police. To TAT and the Governor of Phuket. Deaths by drowning, motor boat accidents, diving accidents, tourists assaults, boats sinking, drownings, fraud at ATMs, jet-skis and tuk-tuk scams, taxis refusing passengers and to go by metre and tour bus crashes are now getting beyond alarm for tour operators and travel agencies all over the world sending  Tourists to Thailand!